AYUSH PG Entrance Test 2019- आयुष पीजी प्रवेश परीक्ष ा: All India Institute of Ayurveda (AIIA), New Delhi on behalf of Ministry of AYUSH, Government of India has announced the notification of AIAPGET 2019 to be conducted in the month of June 2019. It is a computer based entrance exam conducted for providing admission to AYUSH MD/MS Post Graduate Courses for all AYUSH Colleges, Institutions, University, and Deemed University. Therefore all the interested and eligible aspirants must fill AIAPGET Application Form soon before the last date. Candidates can also get here Ayush PG Entrance Exam Date 2019, along with all other related details of the examination. Latest Update: AIIA is going to release the AYUSH PG Entrance Test 2019 Notification in the upcoming weeks. Candidates can fill the online application form through the official website. The AYUSH Notification 2019 is being released by All India Institute of Ayurveda for admission into PG Medical courses. 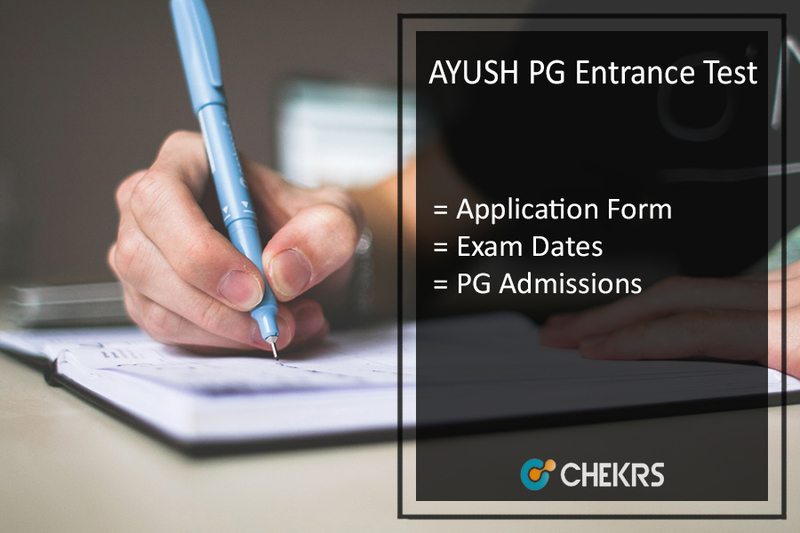 Therefore interested candidates must appear for AYUSH PG Entrance Test 2019 and qualify the exam with the required cut off marks. AIAPGET 2019 is an all India ranking examination conducted through single window system for offering admissions to various AYUSH MD/MS Courses in Ayurveda, Unani, Siddha & Homeopathy Systems of Medicine. Therefore the AYUSH Colleges, Institutions, Universities, Deemed Universities will not conduct any separate entrance exam for admission to AYUSH MD/MS Courses for the academic session 2019-20. Applicants interested for AYUSH PG Admission 2019 must fill the application form before the last date. Candidates who are going to appear for AYUSH PG entrance exam for admission to MD/MS Courses must fill AIAPGET Online Application Form soon. The online application process has already started. Thus interested candidates who are going to appear for AYUSH NPGET 2019 must fill the form before the last date. Through the entrance exam state quota as well as all India seats for admission in various MD/ MS courses in Ayurveda, Unani, Siddha & Homeopathy System of Medicine for all AYUSH Colleges, Institutions & Universities/ Deemed Universities all across the country. Therefore applicants need to fulfill certain criteria for appearing in the exam which details you can get through this article. AIAPGET Application Form gets displayed. Candidates in possession of BAMS/ BUMS/ BSMS/ BHMS/Graded BHMS Degree or Provisional BAMS/ BUMS/ BSMS/ BHMS Pass Certificate recognized as per the provisions of the IMCC 1970/HCC 1973 Act and must possess permanent or provisional registration certificate of BAMS/ BUMS/ BSMS/ BHMS/Graded BHMS degree qualification which is issued by the CCIM/CCH/state board/universities/deemed universities. Apart from this applicants must have completed one year of internship or he/ she is likely to complete the internship before the date of counseling and may apply for AIAPGET 2019. Candidates who are found ineligible at any stage of AIAPGET 2019 will not be permitted to appear in the examination or counselling. The eligibility criteria will be as per CCIM/CCH regulations and notifications of Ministry of AYUSH, Govt of India. Ministry of AYUSH has an issued the notification that admission in All AYUSH PG Courses from session 2019-20 will be made through AYUSH NPGET Entrance Test. Therefore AIIA will be the conduct the exam in the month of June and thus accordingly declare AIAPGET Result after few months. For more updates stay tuned to our portal. In the case of any query, you can place your comments below.